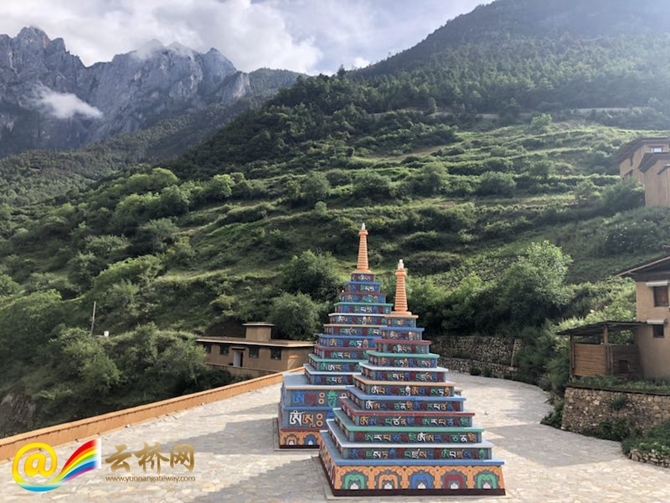 Sina Dingzhu, a Tibetan man from the Bala village in northwest Yunnan’s Shangri-La City, made it in 2008 to connect his home with the outside world through a seemingly impossible road. 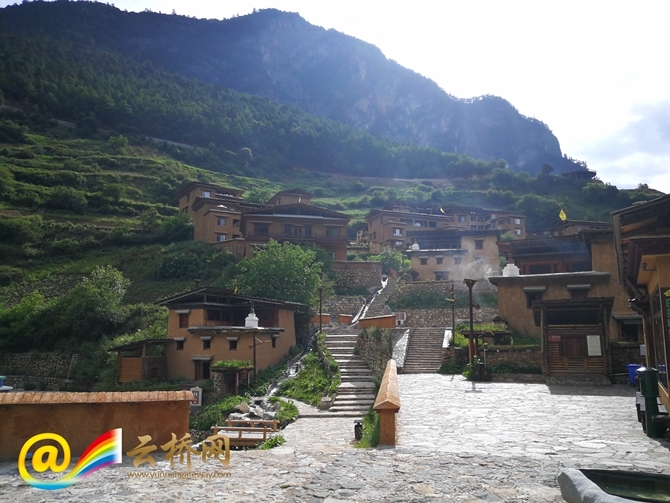 Before that, however, the Tibetan village was surrounded by precipices, and it took local folks a five-day walk to reach the county town via the only meter-wide trail winding along the cliffs. As a result, some villagers never stepped out of the deep valley in all their life. Through the canyons that stand in the millennium, the end of the road is the village of Bara. 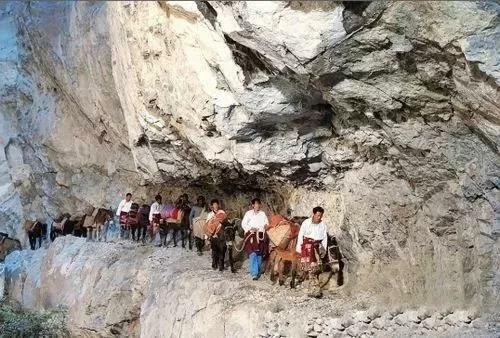 From the village to the Shangri-La County, it took five days, and some villagers did not even walk out of the canyon for the rest of their lives. Sina Dingzhu was born in early 1950s. "I didn't wear any shoes in my childhood and I went hunting on my bare feet." In his memory, there was severe lack of food, and no roads, no electricity, no shops in the village. Returning home, Sina Dingzhu suffered sleepless nights, having realized such sharp difference between his village and the outside world. 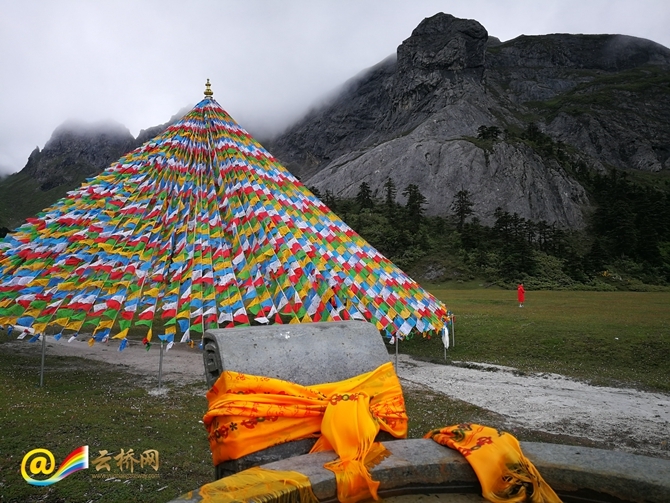 Two years later, the 13-year-old boy went out the towering snow peaks, with 35 yuan in his pocket. Sina Dingzhu first tried varied odd jobs, such as road worker, wood-processer and retailer. 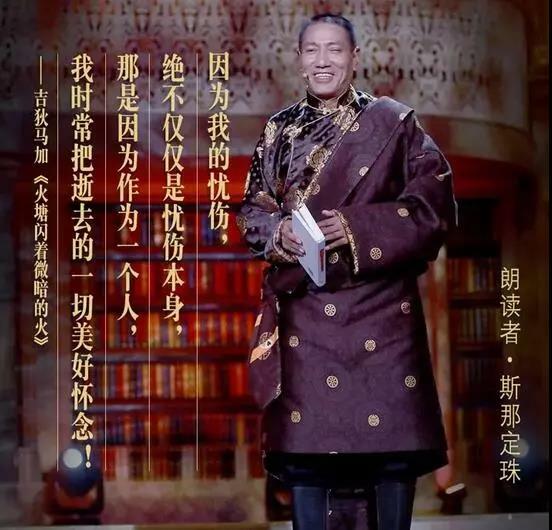 In the ensuing years he opened the first hardware department and the first hot-pot restaurant in Diqing Prefecture, with his fortune once reaching tens of millions yuan. However, he never forgot the home village, and his road dream was still on his mind. In 1988, the 35-year-old Sina Dingzhu returned to home to set about building the road. 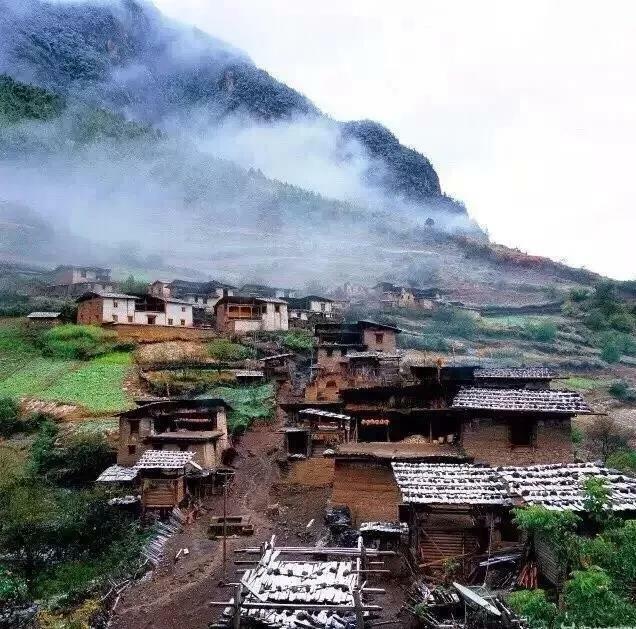 "If you can make it, I’ll come to you on my pilgrimage," said a villager in irony, hearing Sina Dingzhu’s decision to connect the Bala village to the No. 214 national road. 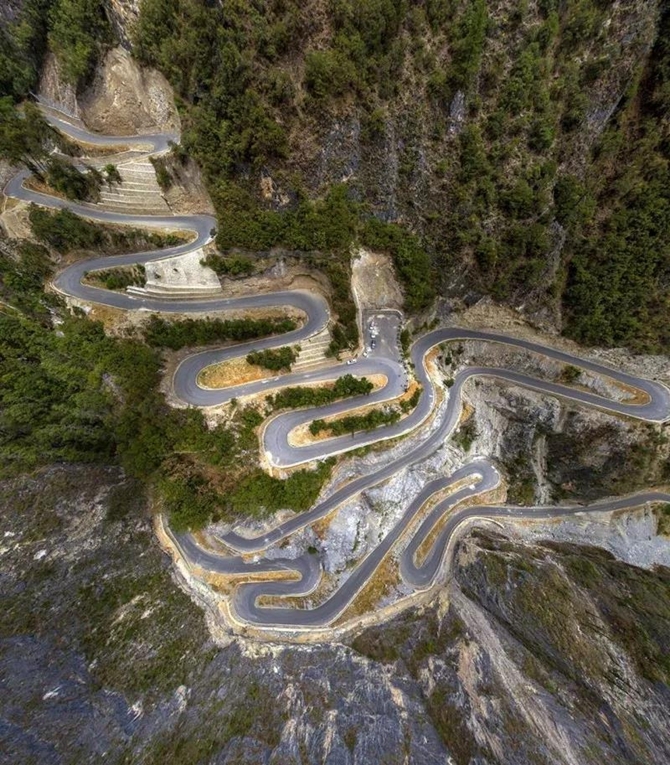 To make things worse, the invited engineers all told him it is was impossible to carve a road out of the steep stiffs, which the determined man simply refused to agree on. 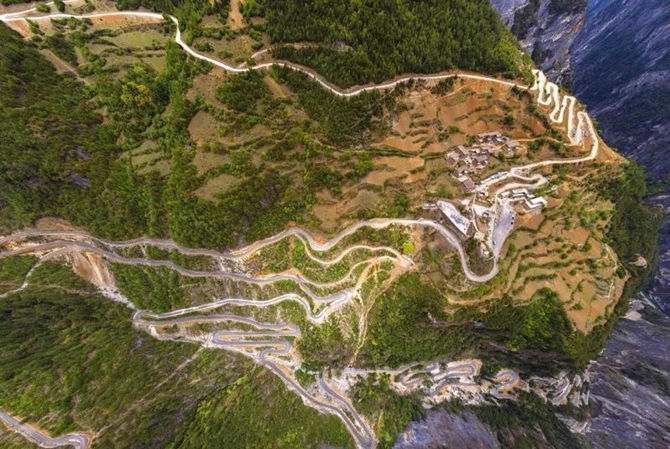 To make the road design scientific and sensible, Sina Dingzhu’s had field work in the deep valley around the clock, trying hard to figure out the possible designs to consecutive sharp turns on the nearly 90-degree slope... In September 2004, construction of the 35-km winding road kicked off. “I ran out of money when the work proceeded to 14 km,” said Sina Dingzhu with a sort of sad smiling. To finance the remaining road section, he sold his hardware department and hot-pot restaurant, borrowed money from friends and relatives, and turned to micro-loan companies. As a result, the once millionaire fell into heavy debts. Seeing his dilemma, some relatives and friends urged him to give up, but Sina Dingzhu insisted on building the road. “If it is worth trying, just do it even at the cost of your life,” he would say. On New Year's Day of 2008, the road finally reached the Bala village and opened to traffic, shortening the village-county town trip from five day to 1.5 hours. 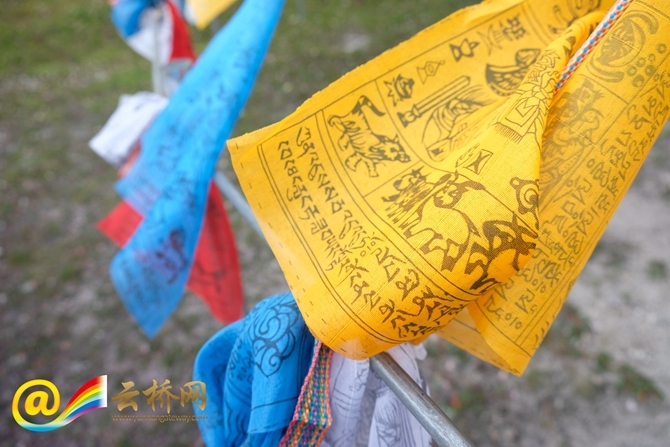 Now the Bala village, as part of the Balagezong scenic area, has gained fame among tourists. 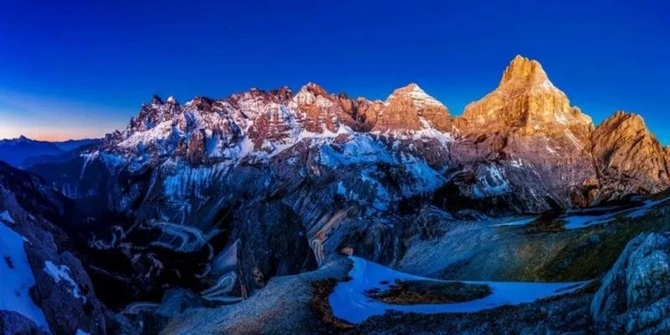 The mysterious snow-peaks and canyons were unveiled and the annual per-household income in the village has exceeded 100,000 yuan. 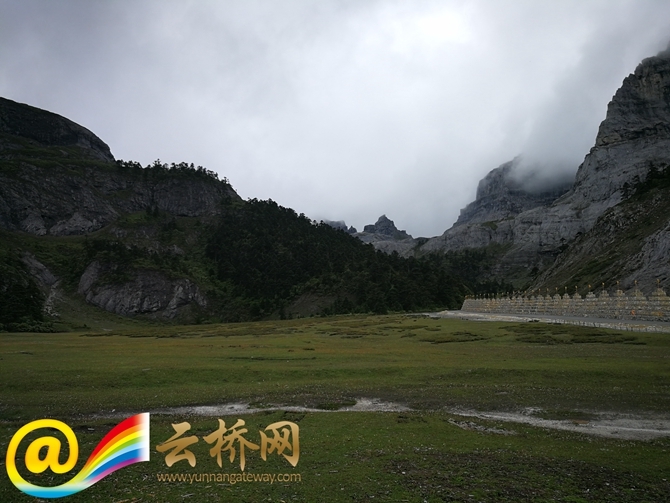 Located 76 kilometers away from the government seat of Shangri-la City, the Balagezong scenic area is hidden deep in the center of the Three Parallel Rivers Nature Reserve. And the area features snow-capped mountains, highland prairies, verdant vegetation, U-shaped canyons, and crystal rivers and lakes.